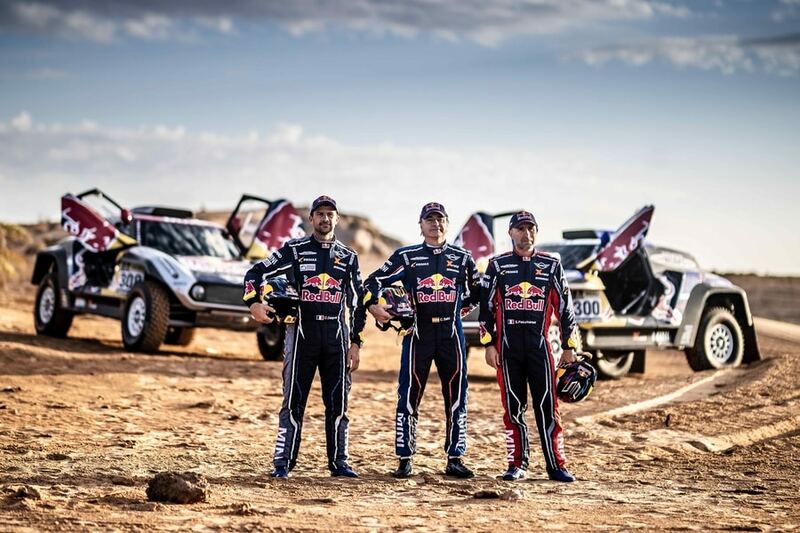 Dakar Rally legends Carlos Sainz, Cyril Despres and Stéphane Peterhansel, who have an incredible 20 Dakar wins between them, are preparing for their next South American adventure in a trio of works Mini Motorsport/X-raid John Cooper Works Buggies. Sainz is the reigning Dakar champion – adding victory in 2018 to his 2010 success. Despres has won the Dakar five times on motorcycles (2005, 2007, 2010, 2012, 2013) before taking to four-wheels in 2015. In less than three years he has already achieved four-wheel rally success, the most notable is twice winning the arduous Silk Way Rally (2016, 2017). Peterhansel is known as ‘Mr Dakar’ for a good reason – having won the Dakar 13 times; six times on a ‘bike and seven times in a car. The next Dakar Rally (6-17 January) will take place exclusively in Peru, with 10 stages covering over 3,000 miles of competition – with 70% on sand. Running to a new loop rally-route, the start and finish will be in Lima. Carlos Sainz, Cyril Despres and Stéphane Peterhansel wear Stilo WRC DES Zero 8860 helmets.